A delicious tasting, sugar free energy drink, imported from New Jersey (USA). This classic product from Stacker2 USA is now available in Europe. 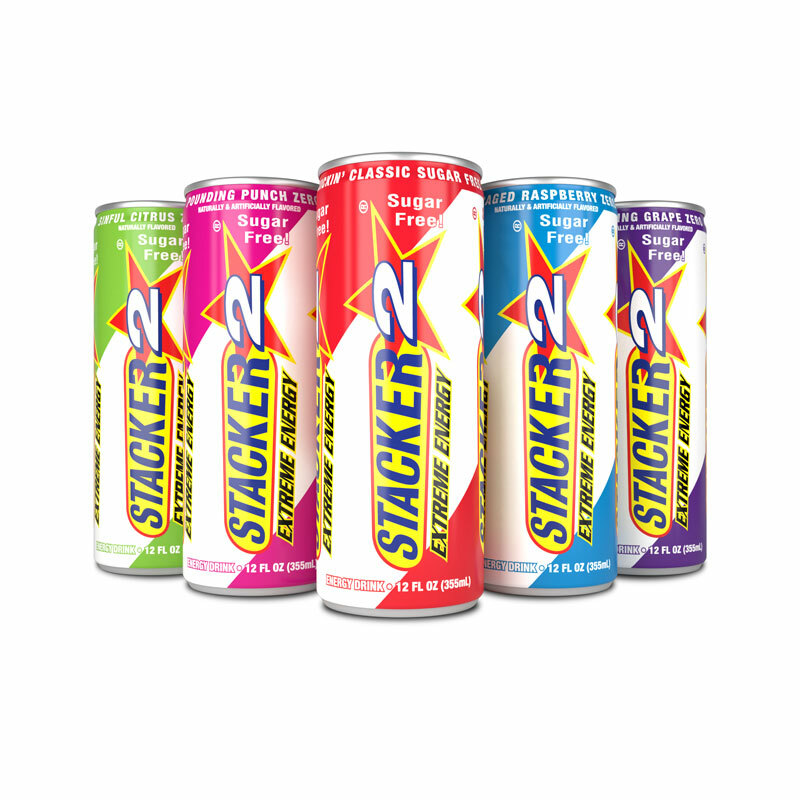 If you love the best American flavours and you are a fan of our distinctive Stacker2 energy kick, then these Extreme Energy drinks are perfect for you! Experience extra energy and focus, giving you improved athletic performance, more alertness when studying, greater fitness on the dance floor or better concentration when driving. By popular demand, the delicious Stacker 2 Energy Drinks are now bigger and better in 335 ml cans. The mouthwatering, pulse-pounding flavours of Enraged Raspberry, Sinful Citrus, Pounding Punch, Gyrating Grape and Kickin’ Classic, will leave you energized for hours! All Extreme Energy flavours are now sugar free! Take 1 can of Extreme Energy shot when you need a rush of energy! 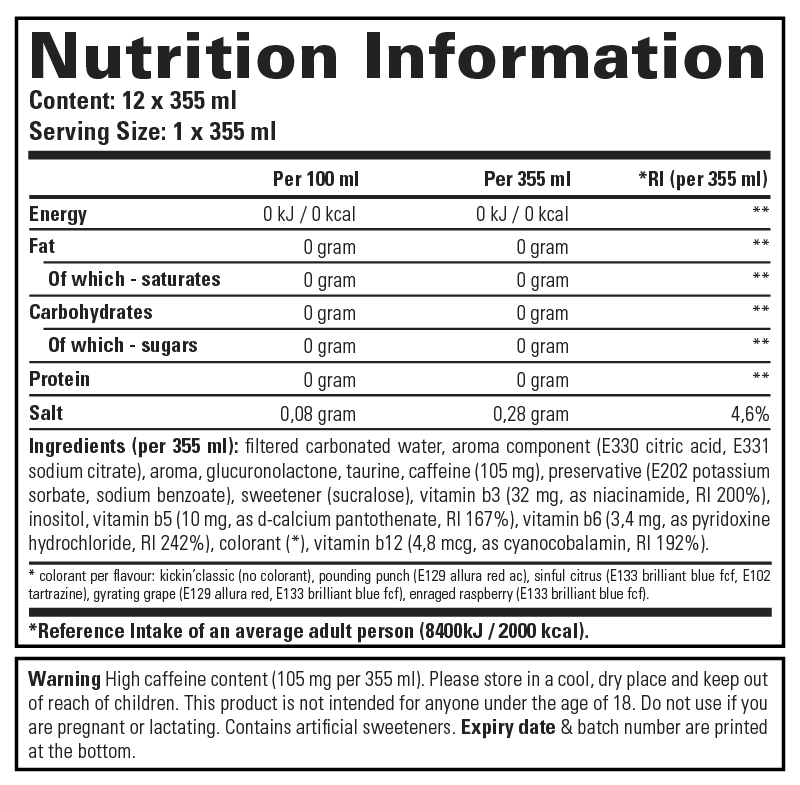 Where are you energy drinks produced? Our energy shots are exclusively produced in the USA at NVE Pharmaceuticals and exported throughout the world. What is the ideal moment to drink an energy shot? Our energy shots benefits and revitalizes the body and mind. To feel its effects best, you should drink it in times of increased mental and physical strain. It is delicious and gives me energy. It is better than the energy drink I used to buy from the supermarket.